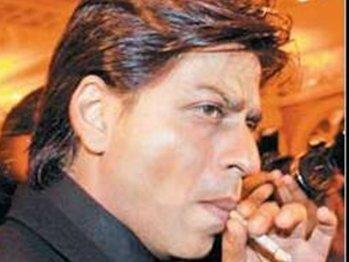 MUMBAI – After kicking his smoking habit for his children and wife, Bollywood superstar Hrithik Roshan is now wants Shah Rukh Khan to leave smoking. Hrithik says, “Arjun Rampal has teamed up with me and given up. SRK is next. Hrithik is very much motivated to see Shah Rukh without cigarettes but he understands that it would be a difficult proposition to convince Shah Rukh for leaving smoking. Hrithik said that he would give him the company and support he needs and explain why he needs to do that. He added that he always loved exploring with different experiences but a true adventurer needs courage and a will of iron.